We carefully analyse your requests and indications, with a view to always finding the solutions that best suit your needs. Our technical department processes the project requirements and submits offers that allow you to technically assess the product from the design phase, with subsequent prototyping, up to the validation of the final project. Our state-of-the-art production line ensures maximum precision, quality and speed of product assembly, thus allowing an accurate planning of delivery times. 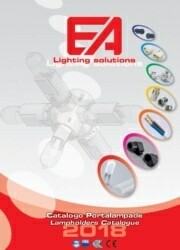 The end result is a wide range of products and solutions that give shape and light to your ideas.